Roger Priest is an experienced DUI criminal defense attorney in Vancouver WA with extensive courtroom experience in Washington state’s complex criminal laws. DUI charges come in many varieties, but the vast majority of DUI charges are DUI misdemeanor charges. Specifically, they are gross misdemeanors. A gross misdemeanor charge is punishable by up to 364 days in jail and a $5,000.00 fine. If this is your first DUI offense, it will definitely be charged as a DUI misdemeanor. DUI felony is a more serious DUI charge reserved for DUI offenders with multiple prior DUI offenses. DUI misdemeanor convictions in Washington carry five years of probation, hefty legal fines and fees, alcohol and drug treatment, an ignition interlock requirement, attendance at a Victim’s Panel, and a license suspension. There may also be options like Deferred Prosecution that divert a DUI out of the criminal justice system and can get the case eventually dismissed. In other cases, a DUI charge might be reduced to a reduced criminal charge like Negligent Driving or Reckless Driving. No two DUI cases are the same and can include alcohol, marijuana, more serious drugs, or even valid prescriptions. DUIs may require expert testimony, medical testimony relating to blood testing, or even affirmative defenses. A DUI attorney can help you decide whether your case should go to trial or be negotiated. 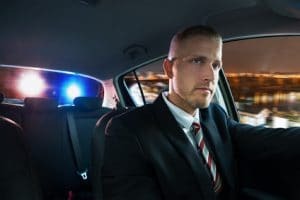 If you are charged with a DUI misdemeanor, chances are that you will be facing a license suspension before you even are released by the police. In most cases, law enforcement will initiate a Department of Licensing action against you. The action seeks to suspend your driver’s license for a term of either 90 days or 1 year. The term depends on whether you blow over 0.08% or refuse a breath test all together. If such an action is brought against you, you should be provided a Notice of License Suspension form. You only have 20 days to request a hearing to contest the license suspension, otherwise your license is suspended automatically based on the police reports. If you request a DOL hearing, you must pay $375 (or obtain a waiver based on indigency) and have an administrative hearing. If you win the hearing, your license will not be suspended by the Department of Licensing unless you ultimately are convicted of a DUI misdemeanor criminal charge. Regardless of what occurs in a DOL hearing above, a conviction for first time misdemeanor DUI will result in a license suspension that lasts either 90 days, 1 year, or 2 years. To avoid a license suspension all together for an individual charged with a DUI, you would have to both win the DOL hearing and avoid a conviction on the underlying DUI criminal charge. Even if your license is suspended, you may qualify for an ignition interlock license which allows you to drive over the term of a DUI license suspension. If you are convicted of a misdemeanor DUI in Washington, you must serve a mandatory minimum sentence in jail. Jail minimums vary depending on the serverity of the facts and how many prior DUIs you have. For a first time offender who blows just over the legal limit of 0.08%, 24 consecutive hours in jail are required. If the blow is above 0.15% or if you refuse a breath test, you must do no less than 48 consecutive hours in jail. If you have prior DUIs in the last seven years, the mandatory jail time jumps considerably, so consulting with an experienced DUI attorney is vital. DUI probation in Washington is 5 years long and usually requires alcohol or drug treatment, compliance with the ignition interlock requirement and attendance of a Victim’s Panel. Although probation is handled differently in many counties, Clark County (where I predominantly practice) charges probationers $100 per month until the conditions of probation are complete. This typically means you have to complete the alcohol treatment and the Victim’s Panel quickly so you are charged for as few months of supervision as possible. If you are convicted of a DUI, the court will require that you obtain a chemical dependency evaluation from a Washington State approved treatment agency. During the evaluation, a treatment counselor will interview you, review the police reports, and decide what level of treatment you require. If they believe you don’t have a problem with drugs or alcohol, you may be required to do as little as 8 hours of treatment in the form of an Alcohol and Drug Informational School (ADIS). For more severe problems, you may be required to do outpatient, intensive outpatient, or even inpatient treatment.